For years I have heard of the "CCC Movies", but I had never actually seen one. My husband, however, used to watch them as a child. 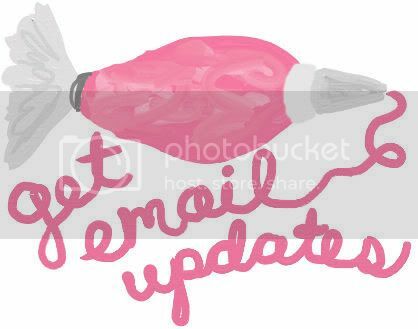 I contacted CCC of America to see if they would be interested in sending me their movies so I could review them here for all of you, and they were happy to oblige! When the package arrived at our farmhouse, my husband scooped up the kids, sat on the floor, put one of them on each knee, and watched "Francis The Knight of Assisi". It was beautiful to see them watching it together, and my children loved it! These movies have stood the test of time across generations. 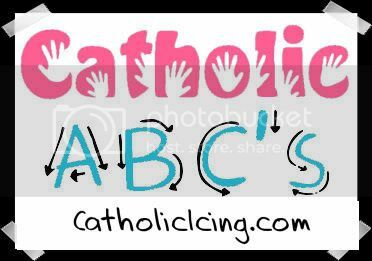 In my opinion, this makes them Catholic classics! 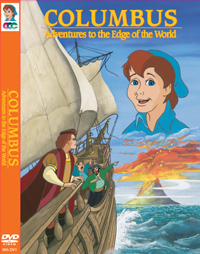 The CCC movies are cartoons made for Catholic kids. 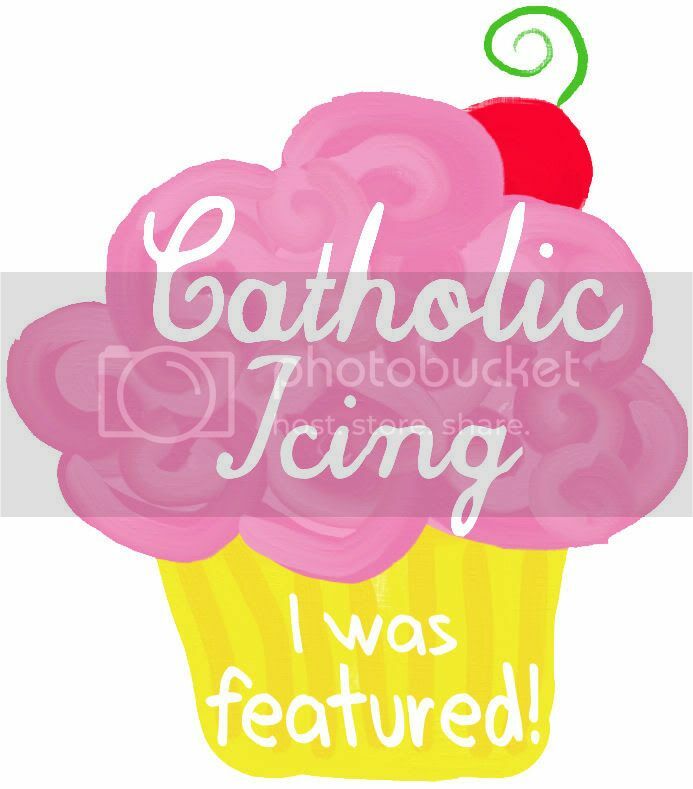 They are fun stories of faith! These movies are all chock full of historical tid bits, lessons about our faith, and religious heros. Things such as prayer, the sign of the cross, the conversion of the characters, and the sacraments are beautifully woven into these films. 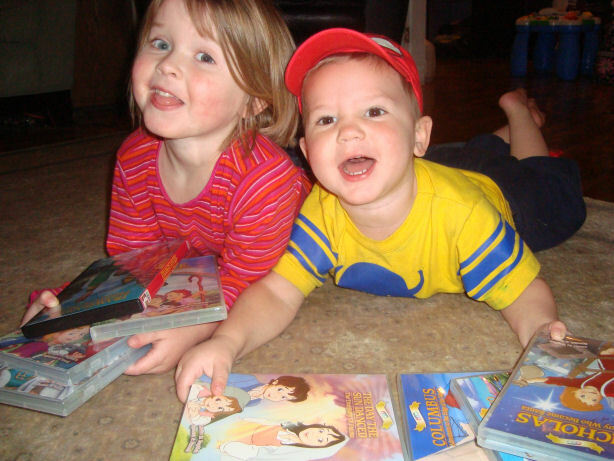 These movies are great for kids of all ages, and are excellent teaching tools! I wish that all CCD teachers and Catholic school teachers had access to these movies. CCC used several different animators throughout the course of these movies, and some I like better than others, but all of the movies have professional quality animation and music. The characters are lovable, and the stories are heartwarming. CCC seems to go to great lengths to keep their movies as historically accurate as possible, and they certainly pay attention to detail. You won't be disappointed in these charming Catholic children's movies! 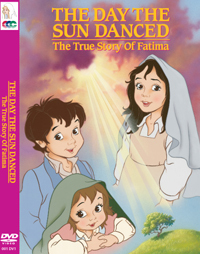 This movie goes through the true story of Fatima, and it was even educational for me! Did you know that all 3 children at Fatima saw Mary, but Francisco couldn't hear her? Because I didn't - but I do now! I think this is a great story for kids because it's about kids. What an amazing way for children to know that even they are old enough to make a difference. Through this movie, you see the children become dedicated to the rosary and their faith. From the first scene where the angel gives the children spiritual communion to the last apparition with the miracle of the sun, this movie will delight you and your children! This was one of my favorites, especially for boys! I think St. Francis lends himself to being child friendly because of his love for animals. This particular movie teaches a lot about self sacrifice. Francis gives up everything - including the clothes off his back - to serve God. I love the little things they work in. Franciscan cross? Check! Prayer of St. Francis? Check! Francis being friends with the animals? Of course! 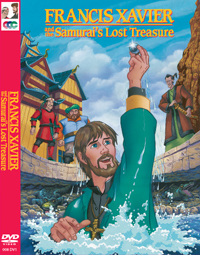 Your children can watch at Francis rebuilds the chapel and found the Franciscan order! 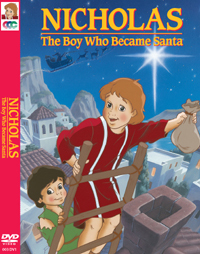 At the beginning of this movie, Nicholas is a little boy with a big heart. He grows from a boy, to a man, to a priest, to a prisoner, to the jolly chubby fellow we've all come to love! He has a knack for secret gift giving. Watch as he leaves gold in shoes and drops gifts down chimneys. I love how many references to Santa they were able to make, yet the movie kept a completely religious focus. I look forward to this movie becoming part of our annual St. Nicholas day traditions! This one actually made me cry! (And no, I'm not currently pregnant). I think it's really awesome how children can look to St. Bernadette as a fellow child role model. I've always loved this story, and this movie is very well done. I have so much sympathy for Bernadette when she is digging for the spring at Lourdes and eating the mud. Everyone things Bernadette is crazy, but she has trust in The Lady! This movie was one of my favorite in the series, and even shows what is built at Lourdes now. I think it's a valuable lesson that God only promises us happiness in the next life. If you haven't seen this movie, you need to. Even though Ben Hur is taken prisoner, he never looses spirit or forgets about his family! My favorite scene in the movie is when he is thirsty and lying on the ground- denied a drink of water. Then Jesus Himself walks up to give him a drink! What little boy wouldn't love watching a movie that includes chariot races and pirate battles? CCC always slips in so much educational content, and in this movie that included the Romans using Roman Numerals. I love attention to detail! This is another great one for boys! 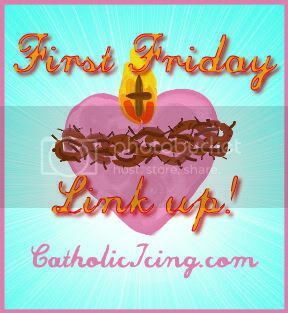 This story is told to children in front of a fire by their grandfather and Fr. Ignatius. When the movie starts, Francis seems to be a rich spoiled young man who just wants to party. He is moved through Ignatius' generosity in secretly supplying his tuition money. He becomes a missionary, and we get to travel with him to India. My two favorite parts of this movie are when his crucifix falls off and lands on a clam with a black pearl (which they have been looking for for quite awhile) and also when he dives into a pit of hungry alligators. Want to know what happens next? You'll have to see for yourself! 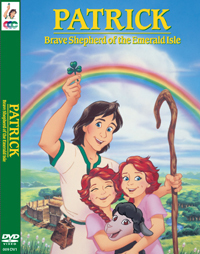 St. Patrick is such a popular saint, and this movie includes so much of his story! I love how Irish the music throughout the movie is. He is taken prisoner when he's a boy and becomes a shepherd. God tells Patrick how to get back home, but he decides to come back to teach the people of Ireland about the one true God. Watch as Patrick becomes a priest, runs the snakes out of Ireland, and teaches about the trinity with - you guessed it - a shamrock! Of all of the CCC movies, this one seemed to stick out a little like a sore thumb. The rest are all very historical, but this one is fictional, and set in modern day time. In the story, some criminals steal jewelry which a little girl mistakes for a toy and puts around her rabbit's neck. Then they chase her down in seeking the bracelet, and she is asking her guardian angel for help. I really feel that fiction is not CCC's forte, but it's still a movie for kids that's completely wholesome, and that's not easy to come by these days. My kids did enjoy this story, and I like the guardian angel song the grandpa sings. Of all of the CCC movies, this one is my least favorite. I think this is my favorite of all the CCC movies! The music in this one made me wish that CCC carried CD's of their cute songs! 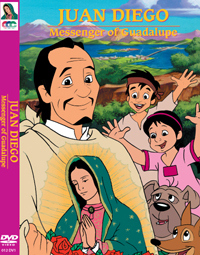 The personality of Juan Diego is so sincere and lovable! Juan Diego teaches us so much about the Indian culture. He saves abandoned babies, takes care of the sick, and of course he talks to Our Lady of Guadalupe! There's something so enchanting about the way Our Lady talks to him. The miracle of the roses and the timla are both included in this captivating movie! I really liked the animation in this one. If you're wanting to start your own collection and wondering where to start, I would suggest Juan Dieo, and St. Bernadette. They're my favorite! Really, I love all the ones about the saints the best! As we watched these movies over the last few months, they have warmed my heart, taught me about the saints, and yes- the St. Bernadette movie even made me cry. My children have watched them again and again, and ask for them by name! Just like any mother, I don't want my kids spending too much time in front of the television, but I love knowing that when they're watching these movies the entertainment is wholesome, educational, and hopefully growing their faith. CCC of America provided me with these movies in exchange for this review. Every opinion in this review is my own, and completely honest! I love these movies and my kids eat them up. So glad you're spreading the word! We love the CCC movies- I want them to make more! I've asked for several of them for Christmas. 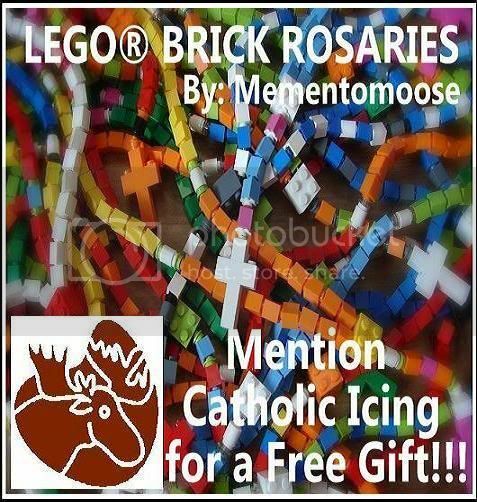 They make much better gifts than Disney movies! my daughter loves St. Francis of Assisi. thanks for this review. i was wondering about these movies and whether they werw good. You've prompted me to buy three of them!! St. Bernadette, St. Francis and St. Juan Diego (I love St. Juan Diego)! We love our Saint movies. We have all but a couple. I wish they had more! PS: They are worth the money! 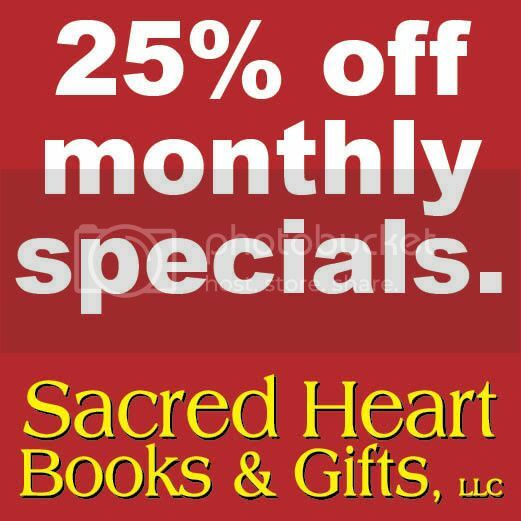 We sometimes even buy the DVD's that are only 30 minutes from EWTN, and it seems so expensive to spend $16 on a 30 min. 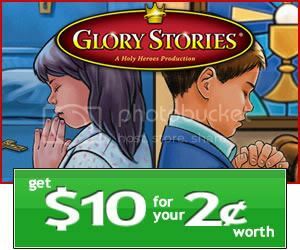 show...but, they learn a lot from them and I'd rather give a little bit more $$ to Catholics who can use it to make more good movies for the kids. There is not enough of it out there. 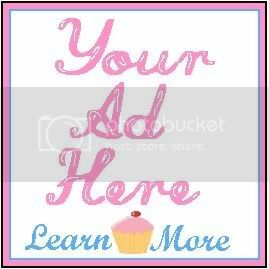 Lacy thank you for your kind reviews. 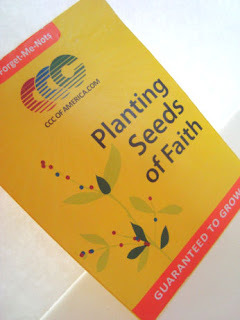 We at CCC of America are huge fans of your blog and we join with you on the mission to plant seeds of faith in our children! May God continue to bless you and your family in a very special way! These are not just for kids! Twenty-something years ago, watching The Day the Sun Danced changed my life forever and I started making my way back to the Church. Thank you Blessed Mother. Thank you CCC. I used to teach 4th grade at a Catholic school and we would watch these sometimes. They are SO well done. Ha I'm so happy you noted and reviewed these videos. Friends of ours have a few of them but, I've never bought them. After your reviews though, I went right over there and purchased a few of them for our kids and for Christmas gifts.